Alaska Northwest Books, 9780882405490, 32pp. 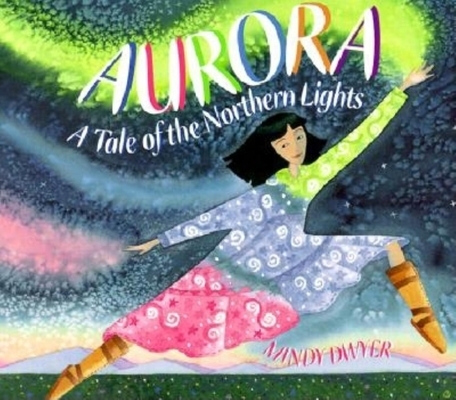 In "Aurora," Alaskan storyteller and artist Mindy Dwyer has created a magical story of a young girl whose seeking and dreams lead her to a great discovery. The bright, luminous illustrations that accompany the story magically portray this tale of the origin of the Aurora Borealis, the glorious northern lights. Inspired by her northern home, Mindy Dwyer says: ""Living in Alaska, it's natural for one to believe that ancient magic dances in the shadows, the wind is enchanted, the old legends are true and in nature."" She lives with her family in Anchorage and is also the author and illustrator of Coyote in Love and Quilt of Dreams.